July 1st in WordPress Themes by Wordpress Jedi . 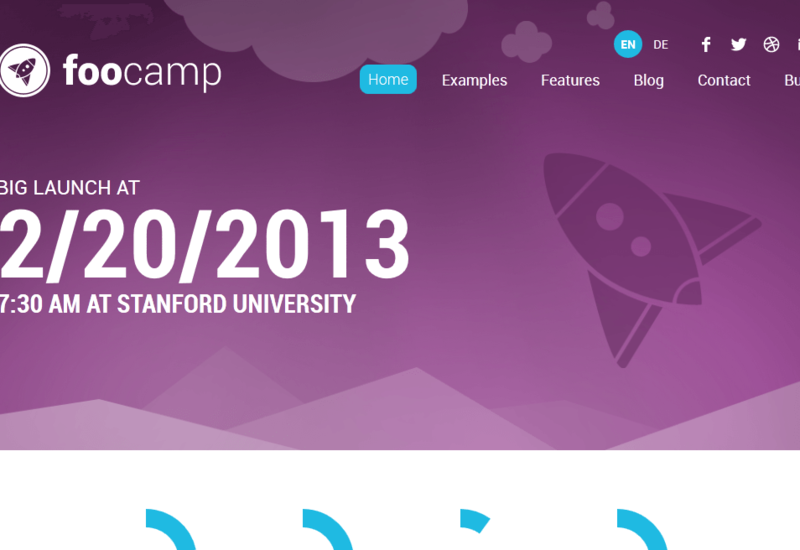 FooCamp: a theme designed specifically for conferences. It has a clean layout with a countdown section. It features the Revolution Slider, Program Schedule Builder, and many other useful features. 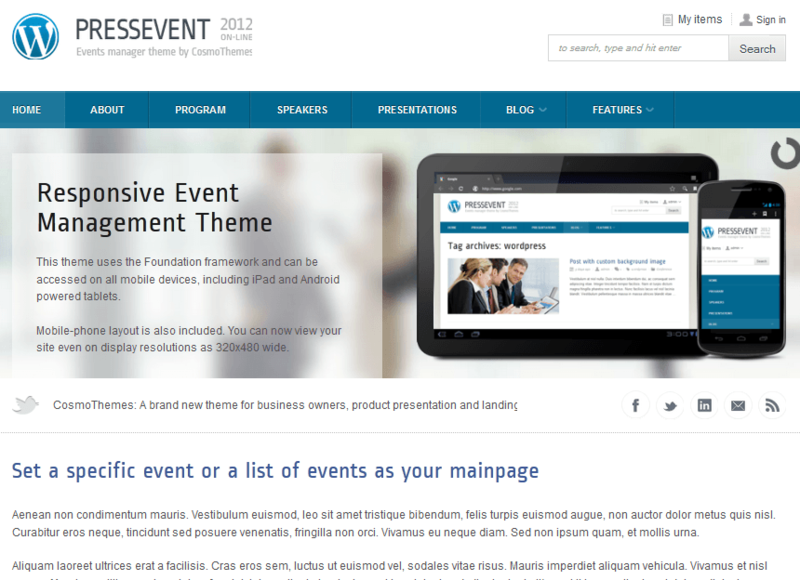 PressEvent: an event management theme you can use for paid events such as conferences, trade shows, and workshops.. It has maps and comes integrated with PayPal. 14 custom widgets are included. 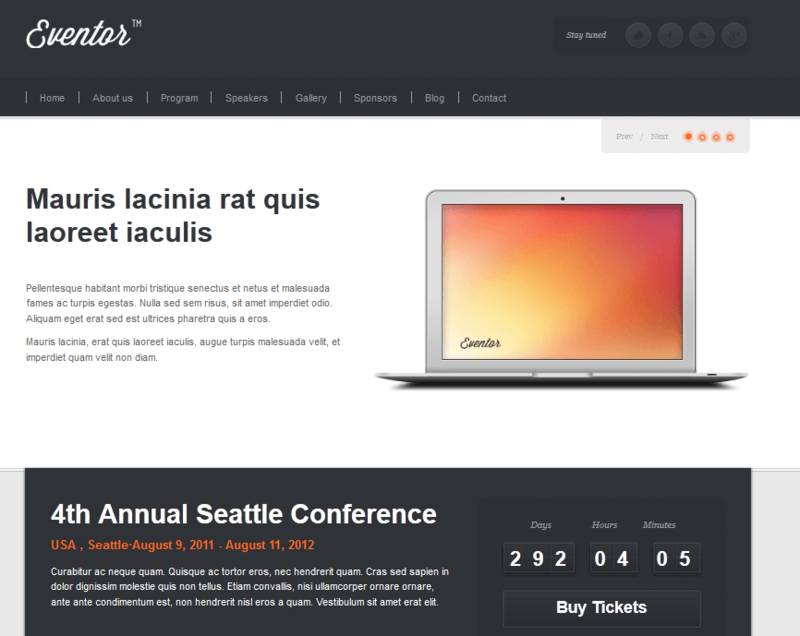 Eventor: as the name suggests, this theme is designed for event sites. 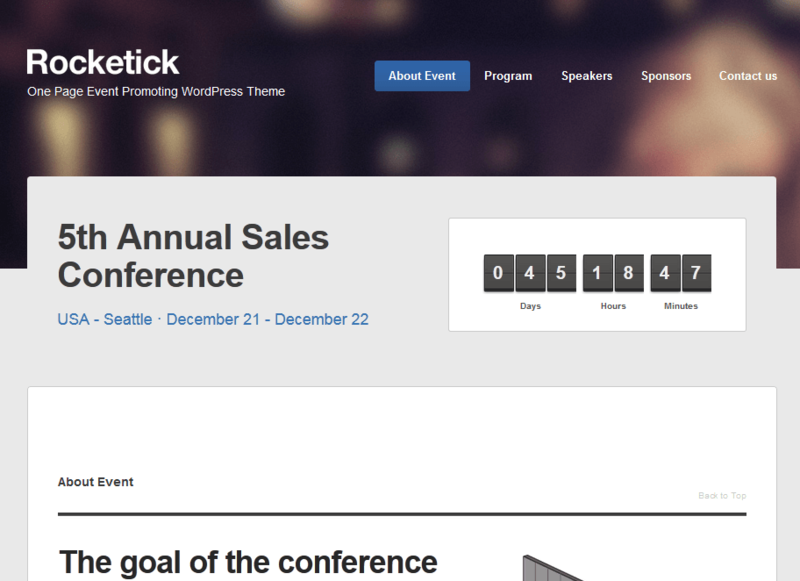 It has a countdown clock and custom types for program schedule, speaker lineup, and sponsors. 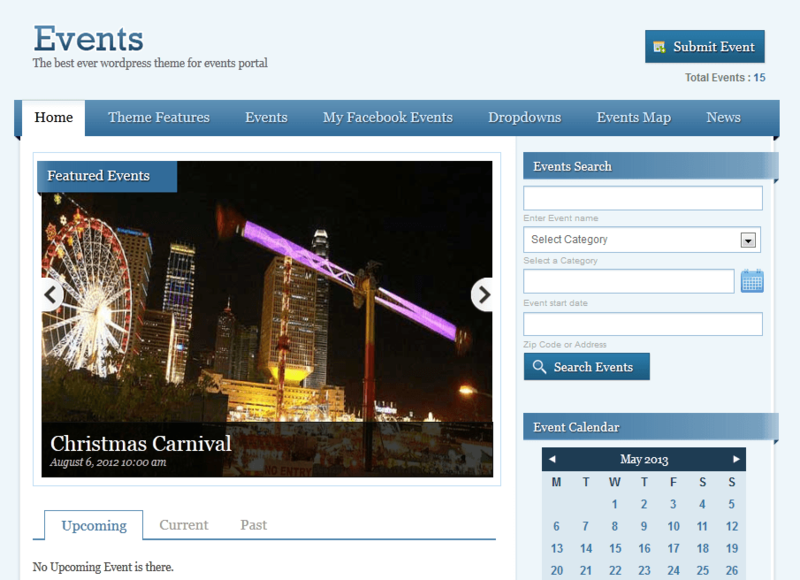 Events: designed for those of you who would like to create an event directory using WordPress. It can work for businesses that throw many events each year. Rocketick: a one-page responsive WordPress theme with a countdown timer and other features you need to promote your event and its details. It comes integrated with Google Maps. 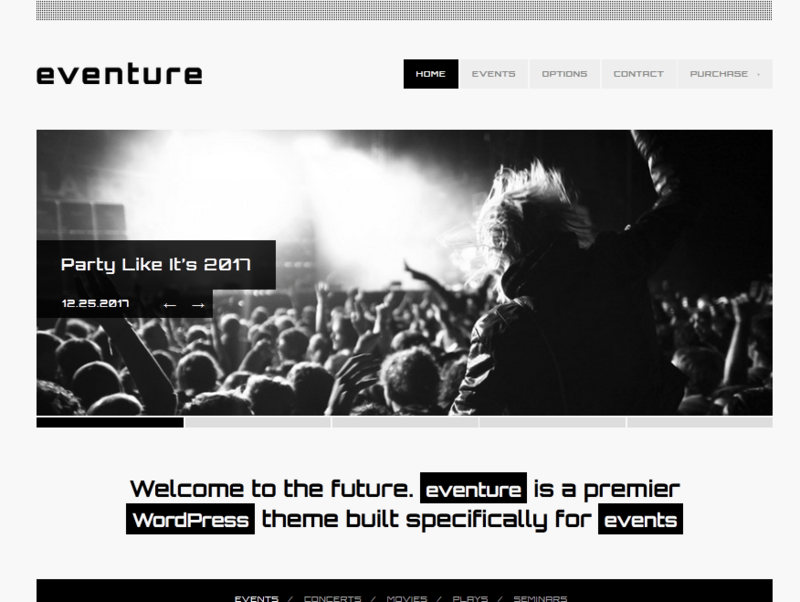 Eventure: another responsive event theme for this platform. It has a highly customizable homepage with layout control. Diarise: this theme is powered by the WooFramework. It is developed for businesses interested in promoting their events online. It has a modular homepage with various custom widgets and 8 color schemes. You will need more than a website for your conference to make it a success. The above themes save you some time, so you can focus on more important tasks.